The aircraft was headed to the Wonderboom airport. 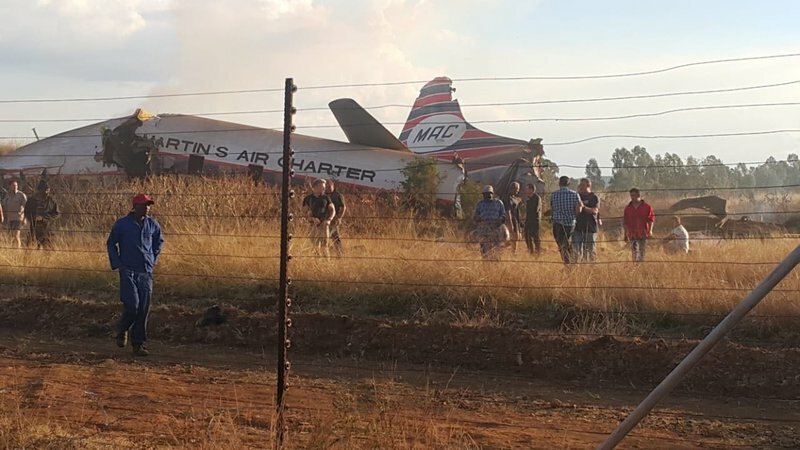 Nineteen people were injured when a plane crashed on Tuesday in a grassy area of the South African capital Pretoria, emergency services said, giving a preliminary toll. ER24 spokesperson Russel Meiring said: "Services are now on the scene, they've been treating the patients". Helicopters are on the scene to airlift any critical patients to hospital. "Paramedics are treating the patients and will thereafter transport them to nearby hospital for further treatment". "At this stage, we can confirm that crew members are attending to the scene of a crash", he said. At the same time, Tshwane Emergency Services say four workers have been left critically injured after a plane hit a factory before crashing. The man's grandson, Erik Mendoza, told KCBS his grandfather doesn't speak English and had no idea why he was being attacked. Rodriguez accidentally bumped into a young girl while walking on the sidewalk, Borjas told The Washington Post .